Like the headline says, I’m scheduled to be on ESPN Radio’s Brian Kenny Show on Monday, starting at about 8:27 pm Eastern time. The topic: “how the economy is affecting sports,” including naming rights deals and player salaries. If you don’t know how to use a radio, just click on the web stream here. 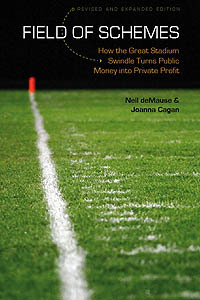 This entry was posted in Shameless Self-Promotion, Sports by Neil deMause. Bookmark the permalink.